SpeedNews has been the source for easy-to-read news and information for executives in the aerospace industry since 1979. SpeedNews currently publishes four Newsletters of record for the aviation executive, which are distributed and read in over 160 countries around the world to provide reliable news for professionals in the commercial, business and military aviation industries. SpeedNews was founded more than three decades ago on the premise that aviation executives need one main source for industry news available in a concise format. SpeedNews Conferences have been widely regarded as an industry staple for aviation executives and top-level decision-makers. 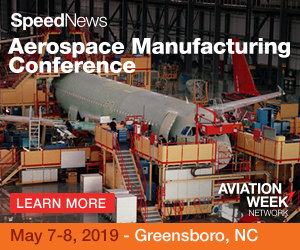 SpeedNews currently organizes eight conferences annually where aircraft and engine manufacturers present status reports on their various programs, and industry experts present delivery and retirement forecasts, review the financial status and condition of the industry; maintenance and subcontractor issues are also addressed. Delegates can update their business plans based on the information in these presentations and gain networking opportunities with customers and peers.